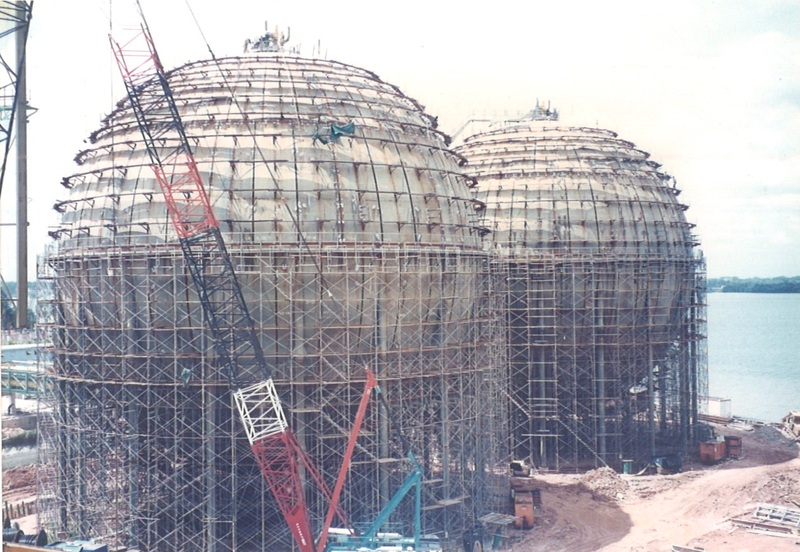 Sphere Tanks are tanks with shells fabricated into spherical shape. It is used to store products with extreme low flash points or highly pressured fluid like LPG, hydrogen, hexane and oxygen. 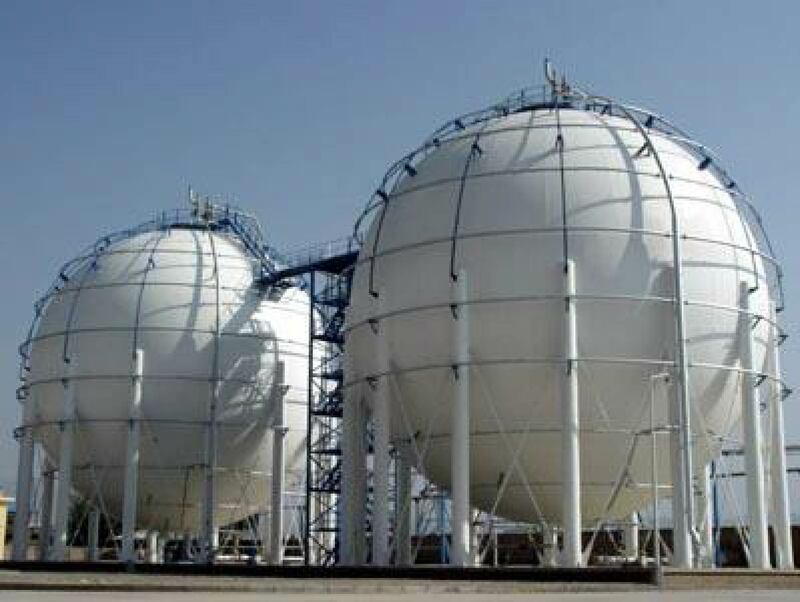 Sphere tanks are very robust and built with high standards. It is usually constructed at a remote site, to prevent the risk of fire due to unpredictable leakage of highly flammable products. 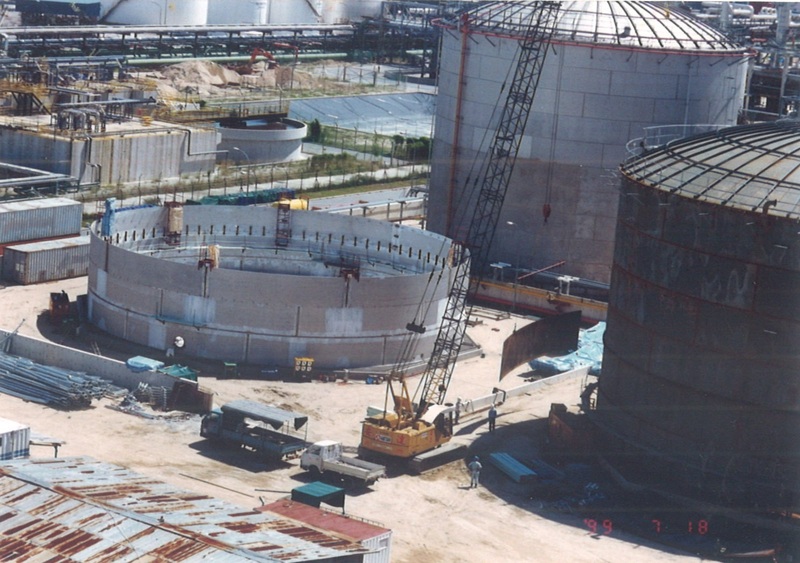 Conventional fixed roof tanks come in various shapes; cone roofs, dome roofs and umbrella roofs are usual. The style of roof is dictated by the fluid pressure requirements, condition and process. It is used to store non-volatile products with very high flash points, like diesel, water, lube oil and asphalt. Since the roofs are fixed, there is always a vapour space above the liquid. The tanks must be vented to the atmosphere to retain atmospheric pressure in the tank, hence if the loss of vapour is considerably extensive, this is not suitable for the product, which will lead to a floating roof tank design. Floating roof tanks, as it is named, means there is a roof that is placed on top of the product, rising and falling with the level. With this design, vaporisation is reduced, which greatly increase safety from fire and minimise air pollution. There are two types of floating roof tank; open roof and closed roof. 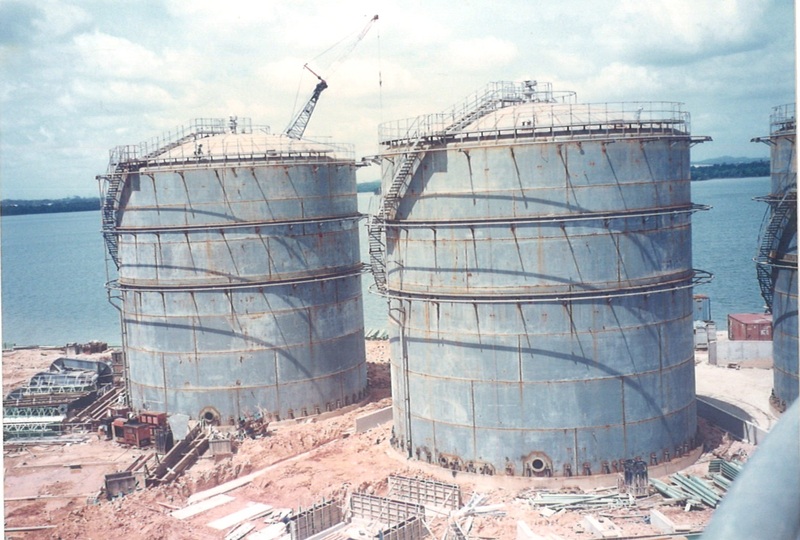 Open roof tanks are used to store medium flash point, mild volatile product such as naphatha, kerosene and crude oil. There is only one floating roof, and the top is exposed to the environment. 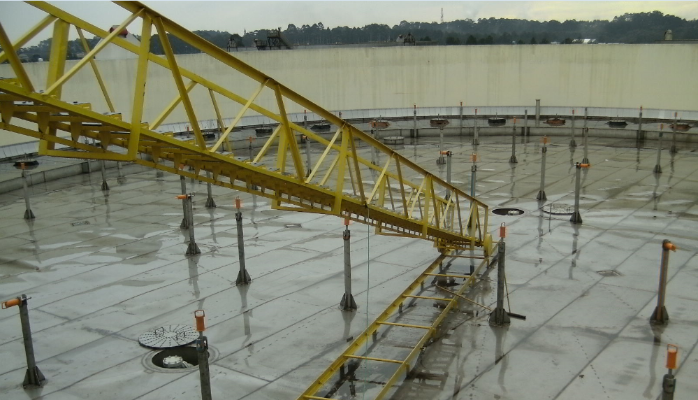 Closed roof tanks are used to store low flash point, highly volatile products such as jet oil, gasoline, etc. It has a fixed roof on top of the tank, with an internal floating roof, to serve as an additional seal for vaporisation loss. 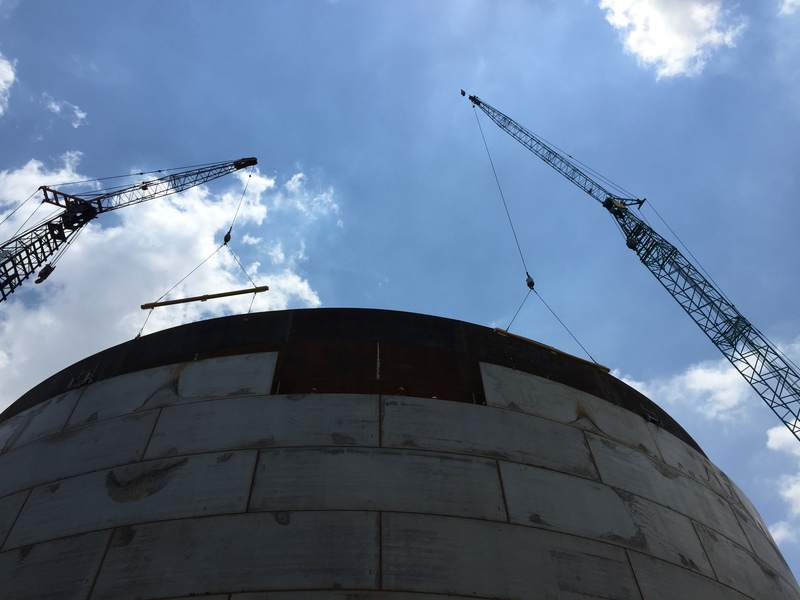 In cases where it is required for a secondary containment of storage tanks to prevent catastrophic leaks of dangerous chemicals, double wall tanks are used to provide the containment. Double wall tanks also have the benefit of excluding rainwater from the containment when they are installed outside. 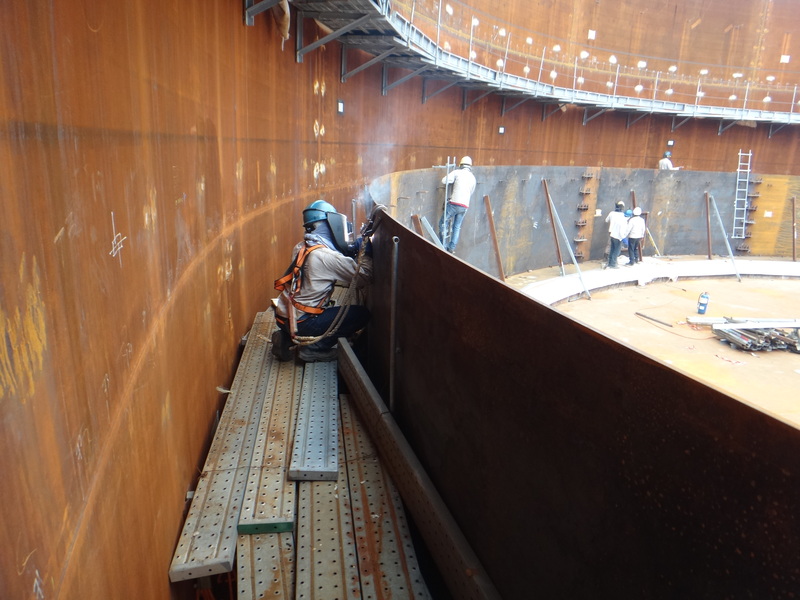 Double wall tanks are also frequently used on grounds where it is not possible to construct a containment dyke.